Whether you’re throwing a birthday party for kids, or having a casual BBQ for adults, this is an absolutely ideal, quick, easy, and delicious summer dessert! 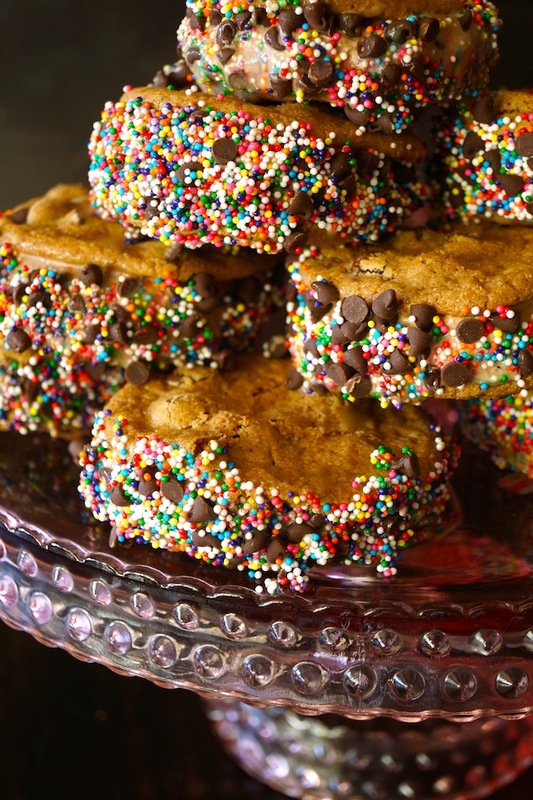 And let’s face it, when you add rainbow sprinkles to a dessert, it immediately becomes fun. I mean, really, which ice cream sandwich would you grab—a brownish-beige one, or a bright and colorful one? It’s a no-brainer! 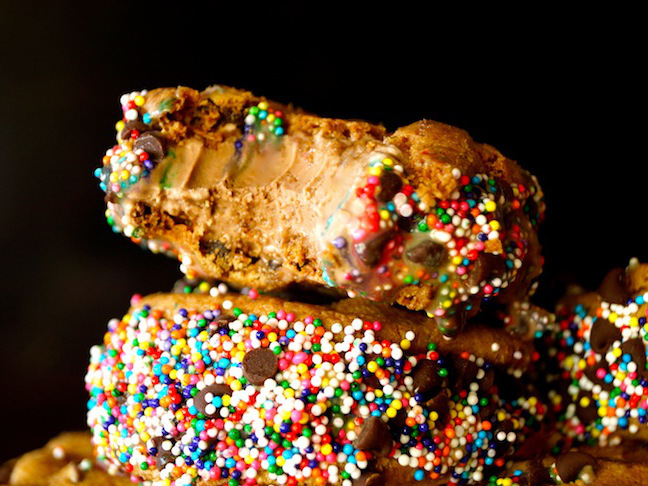 So yes, of course I rolled tasty ice cream sandwiches in sprinkles. I love stacking these on top of one another like a pyramid—to make a cake tower of sorts. It will wow your guests and it makes serving super simple. All your guests will need are their hands and a napkin. Add a delicious layer of crunch to the best summer dessert on the block. 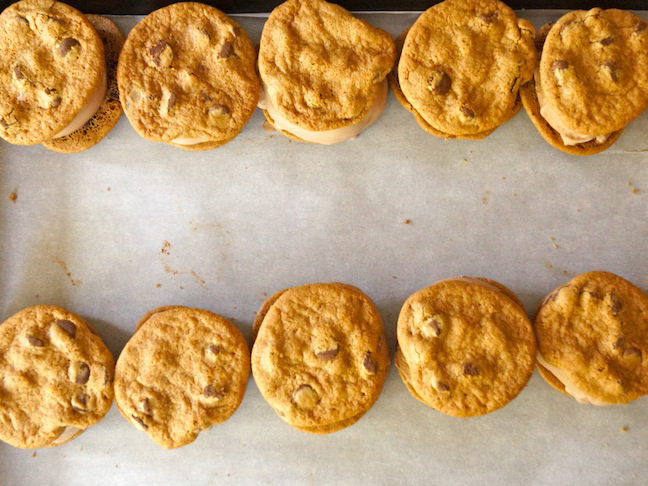 Step 1: Add a piece of parchment paper to a baking sheet or very large plate—make sure the size you choose will fit in your freezer. 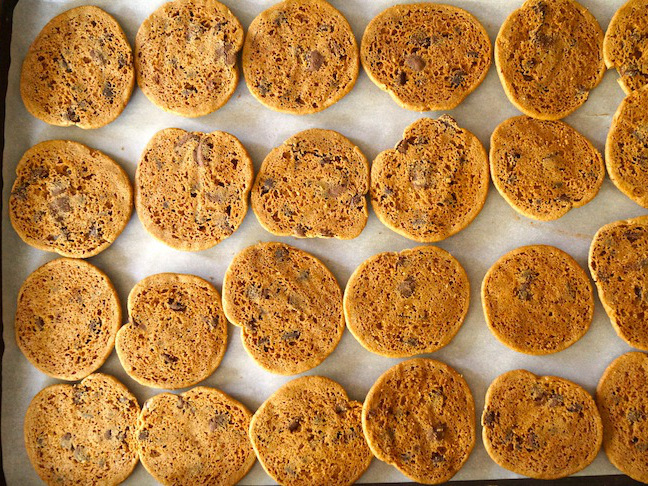 Step 2: Place the cookies, flat side up, on the lined baking sheet. 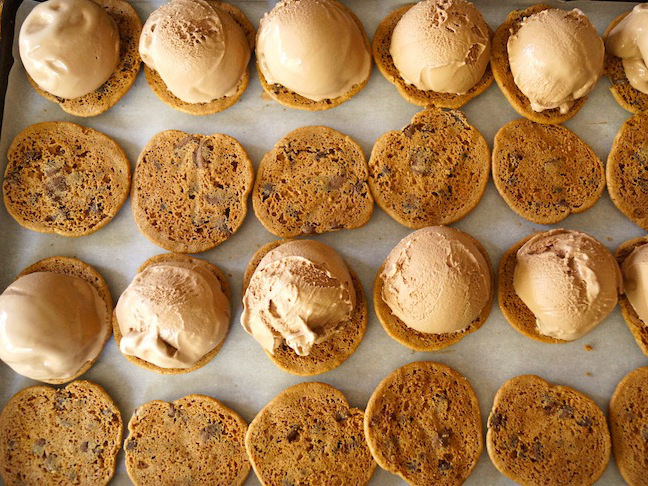 Step 4: Add the remaining cookies, round side up, on top of each scoop of ice cream. 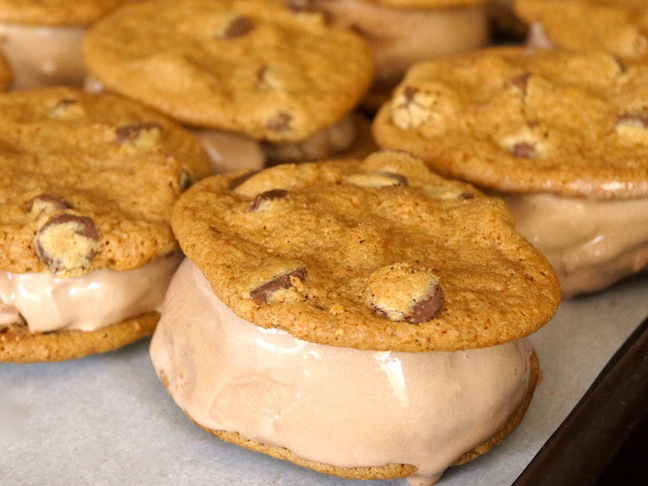 Step 5: Very gently press the top cookies down to spread the ice cream a bit. Step 6: Place the baking sheet in the freezer to firm up the ice cream, about 20 minutes. 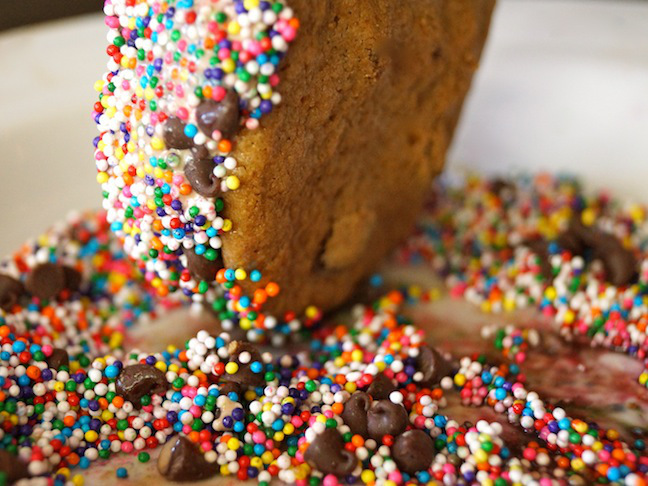 Step 7: Add the sprinkles and mini chocolate chips to a shallow bowl and mix to combine. Step 8: Once the sandwiches have firmed up in the freezer, very gently and firmly roll each one, along its side, into the sprinkle–chocolate chip mixture. Step 9: Once they are all well coated, place them back on the baking sheet and into the freezer until you're ready to serve.